Long Term Disability applicants with scoliosis may qualify for LTD benefits. Scoliosis causes a sideways curve of the backbone, or spine. These curves are often S- or C-shaped. Scoliosis is most common in late childhood and the early teens, when children grow fast; however the condition can last into adulthood. Symptoms include leaning to one side and having uneven shoulders and hips. The severity of scoliosis may vary greatly from person to person. 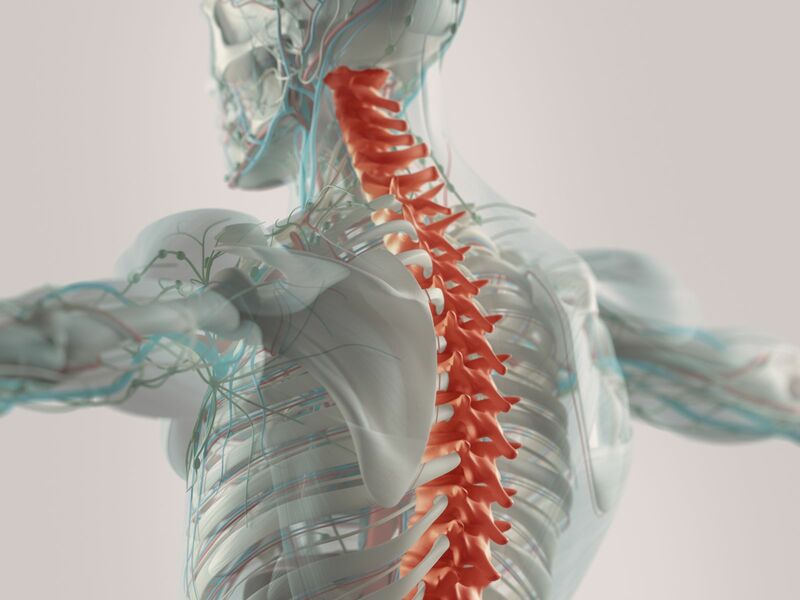 In other words, some individuals may suffer few symptoms from their scoliosis, while others may suffer more severe impairments, such as breathing problems, persistent back pain, or spine or nerve damage from spinal surgery or uncorrected scoliosis. Depending upon the severity of the scoliosis, treatment options range from regular appointments with the doctor to ensure there are no changes in the curve in your spine to requiring surgery to insert metal poles in your spine to straighten it. Only the more severe cases of scoliosis (or kyphosis and kyphoscoliosis) typically qualify for Long Term Disability benefits. You must show that you are unable to return to work because of your limitations to qualify for LTD benefits. records of ongoing treatment which show that the impairment is not improving despite medical treatment. You may be eligible for LTD benefits if the disability insurance company adjuster finds you are not able to return to work because of your limitations. The insurance adjuster will review your medical records and assess your physical, mental, and sensory limitations, or “residual functional capacity” (RFC), to determine if you there is any type of work you can do. For those with scoliosis, the biggest limitations to returning to work are physical limitations. Beyond having limited abilities to walk and stand, other physical requirements, such as lifting and carrying weight, pushing and/or pulling items, and reaching may be extremely difficult (or downright impossible) for an individual with scoliosis due to back pain and strength limitations. Mental impairments, such as isolation or depression secondary to the physical ailments, may also make a return to work impossible. What else can someone with this condition do to help tip the scales in their favor when applying for long term disability benefits? One of the most important things you should consider is hiring a disability representative. More so than in other types of cases, hiring a lawyer to appeal a denial or termination of benefits for scoliosis can really help your case, since an experienced disability lawyer will be familiar with the latest court decisions on when disability should be granted for scoliosis. This knowledge helps disability attorneys find errors made by the claims examiner in the disability determination and use them to your advantage. Mr. Ortiz is an experienced long term disability attorney. If your scoliosis claim has been terminated or denied, contact the Ortiz Law Firm at 850-308-7833 for a free consultation today.